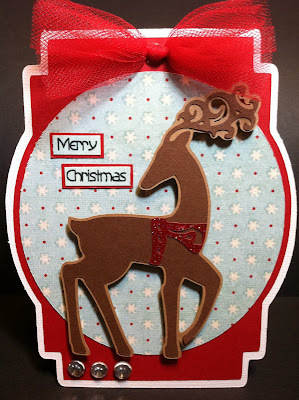 Paper Crafts by Candace: First Christmas Card of the year!! I love your card! I'm inspired to make a similar one ;) TFS! 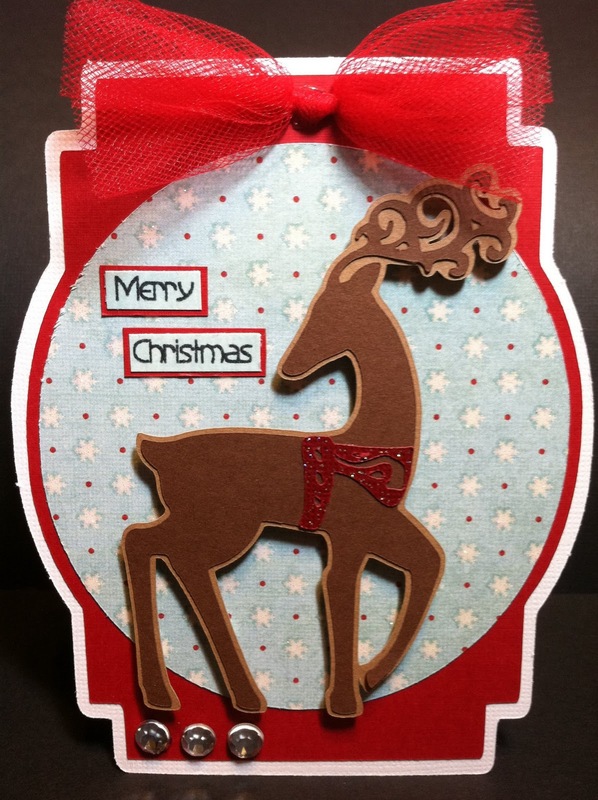 love how you put together that reindeer, this is beautiful! Really cute! Love the shape! very pretty chickie !!! love the deer and the paper !! love your card candace!!! all your work is an inspiration!!! Beautiful Xmas card Candace! Love the tulle and the glitter on the harness! Great job. I will be working on some Xmas cards on my day off tomorrow. I LOVE this card!! I can't tell you enough! This reminds me so much a water globe and I love it!!! I am even more excited now that I know I have this cart too!! How pretty! The tulle is the perfect touch. I love the deer, I never would have thought to make the "shadow" layer lighter than the character.